"Vikingsholm" Emerald Bay, South Lake Tahoe, Ca. 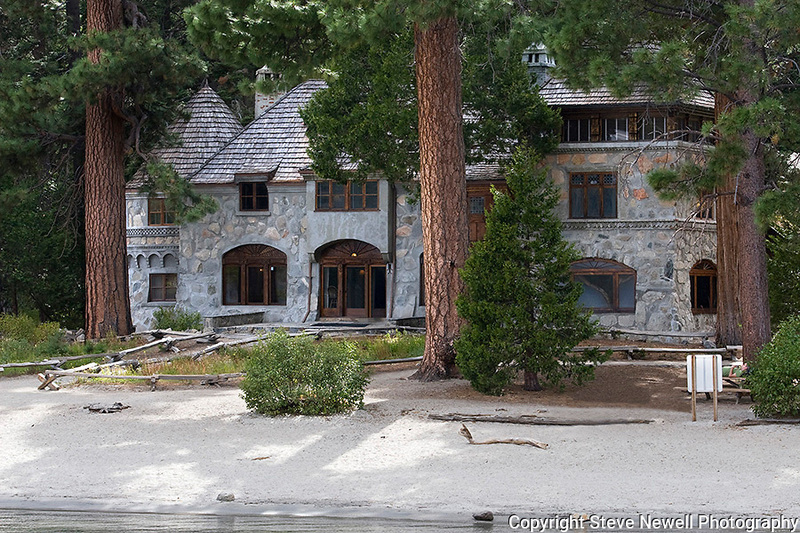 Vikingsholm castle is located at the bottom of Eagle Falls where it drains into Emerald Bay. There are tow ways to see the building. While on a boat in Emerald Bay or by hiking down the path from parking lots located just off the highway that goes around the Bay. The hike down isn't very far and the scenery isn't that bad either. Emerald Bay is the most photographed location in all of Lake Tahoe.